Jetclean is a range of dishwashers from Maytag. As with all household appliances, problems occur. Some technical faults require the attention of a qualified service engineer, but other problems may have simple solutions. 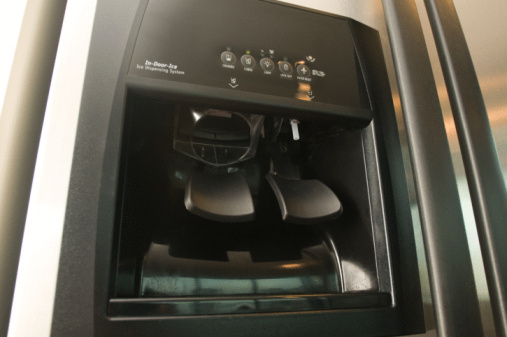 You should familiarize yourself with the machine's operating procedures before using the dishwasher, as some problems may be caused by loading the machine incorrectly or using an inappropriate setting or cycle. Troubleshooting the dishwasher yourself before making a potentially expensive service call is often worth your time. Press the "Start/Resume" button and close the door within three seconds if the "Start/Resume" light flashes. Make sure the door is fully closed and latched. Check the fuse box and/or circuit breaker for the machine. If a fuse has blown you may be able to see that the metal strip inside the glass compartment has burnt or you may see smoke stains on the glass. Replace the fuse as required. Depending on the type of fuse, you may have to screw it into place or push it to snap into place. A circuit breaker will have switches with "On" and "Off" positions. If the circuit breaker is in the "Off" position, return it to the "On" position. Check the valves connecting the dishwasher to the water supply. You can find these between the water supply piping and the back of the machine. Make sure the valve handles are fully turned to the "On" or "Open" position. Remove the bottom rack from the machine. Remove the plate from the inside bottom of the dishwasher. You should see a float that looks like a small, cone-shaped plastic plug. Lift out the float and clean away any food and debris. Replace the float, the plate and the rack. Check for suds in the dishwasher and clean as required. Foam can keep the dishwasher from operating properly. Make sure the cycle is complete. Check to be sure the knockout plug is not in the disposer inlet if connected to a waste disposal unit. The disposer inlet is the tube connecting the dishwasher to the disposal unit. Consult your disposal unit manual for instructions on how to disconnect and remove the unit. If the knockout plug is still present, it will be a solid obstruction within the tube. Place the tip of a screwdriver against the plug and tap with a hammer to dislodge it. Turn the unit upside down, and you should be able to reach in and remove the plug. Reconnect the waste disposal unit. Check the drain hose for kinks. Clear any food or other debris from the drain. Check the fuse and/or circuit breaker. Paul Travers has worked as a freelance journalist since 1990. He has worked primarily for "Kerrang!," the U.K.'s leading rock magazine, but he has also published online content and in print publications worldwide, from "MusikExpress" in Germany to "Smash Hits" in Australia. Travers holds a Bachelor of Arts in journalism and media studies from the University of Central Lancashire.